... and our games sessions and workshops for libraries are there to get people through your doors! We look to run events and activities that encourage new children and families to come down and have an enticing an positive experience of their local library, as well as provide an exciting activities for your existing customers, helping to connect communities together. 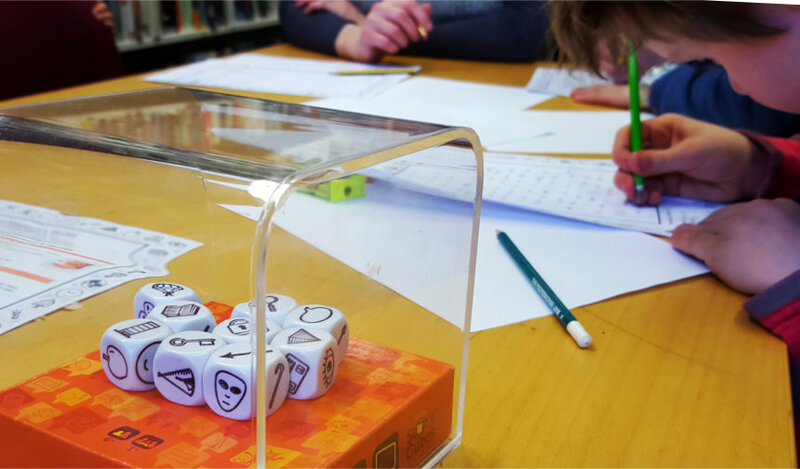 Libraries of all sizes are perfect environments for people to meet in a calm and relaxed environment, and the games we bring along always provide an enjoyable and inviting focus for everyone to get involved in. Our work in this area looks to showcase what you have to offer and attempts to provide strong links to other organisations to increase your profile. Whether it's themed support, such as for the annual Summer Reading Challenge event or Shakespeare Week, family and school games sessions to bring the community together, or something more bespoke, there's lots imagination gaming can do to bring even more people into your local library. Our activities are a perfect fit for Libraries, especially in the current climate. 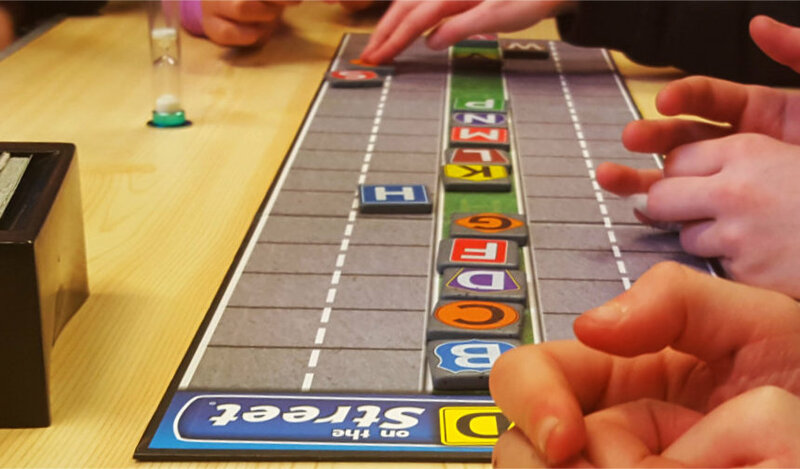 We can demonstrate a range of tabletop games and ideas for venues large and small that your current visitors will love – and that will also attract lots of new ones. We regularly see the same faces returning for more, each time bringing new friends. Word spreads and very quickly we are inundated with players eager to see what we have for them, and looking forward to what we will have next time. We specialise in finding and creating games that are intriguing and exciting at the same time, and that are challenging to all ages and abilities. We can provide you with something that bridges generational gaps and will have old and young members of your community enjoying working and playing together. We are often requested to help a Library forge closer links with the schools and other organisations in the local community. Through our educational and enrichment projects we can encourage children and their families to your venues by displaying classwork from our sessions in your library, attracting them to linked sessions in an activity they have already had a taste of and want to show their friends. Do you know any schools in your local area? Tell us about them and let’s bring you together. Contact us if you are looking for an activity to captivate any groups you may already have meeting, or if you would like to attract others. We will open their eyes to a hobby that is easily accessible to all, socially inclusive ... and really good fun! Once you’ve seen how simple it is, and you’ve had a go, it’s easy to start your own Games Library. 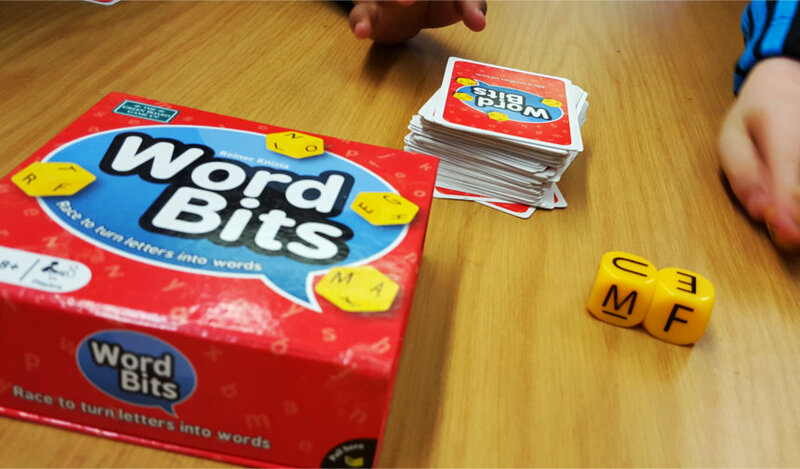 We can work with the library to show just how easy and effective the games are and supply packs of games specifically based on what works for you to use every single day. We will give you the knowledge, confidence and motivation, to simply and affordably set up a new, sustainable activity for all your visitors to enjoy on a regular basis. It's your move! If you would like to know more about our Library Events, then please use the form below to get in touch.